Illinois State entered this game at around a (+200) moneyline bet on most sportsbooks. So, everyone who placed that bet had to feel pretty good when Illinois State inbounded the ball, up by two with roughly eight seconds left on the clock. The issue is what ensued from there. Illinois State struggled to keep control of the ball as it bounced around, touching everyone as it found its way to the half-court line. Players were diving on the floor left and right from both Illinois State and Missouri State. They were seemingly changing possession every second. Finally, Missouri State came up from the scrum with the ball and jacked up a half-court shot and nailed it for the win, 66-65. What a whirlwind ending. It happened so fast, you didn't really have time to process what was going on. FINAL | Missouri State defeats Illinois State on a last-second heave. 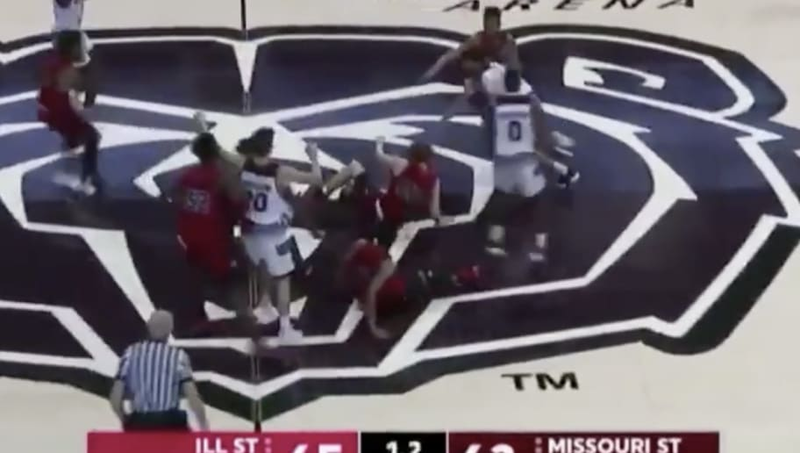 Illinois State bettors went from a nice payout to losing their bet in a quick and confusing eight seconds.